Metnor Construction are proud sponsors of Everyone Active Sporting Champions. Launched in 2016, the aim of the scheme is to provide ongoing support for talented athletes across the UK. Metnor Construction has been working in the leisure sector for over 15 years. Established in 2002, the company’s first project was the new Falcons Rugby Stadium in Newcastle upon Tyne. In recent years this sector has expanded for us and we currently have three live projects with Everyone Active. We are passionate about this sector and understand that keeping the nation fit and healthy is at the heart of their business and their mission is to encourage everyone to do at least 30 minutes of activity, five times a week and lead to a healthier and more active lifestyle. Metnor are proud to have partnered with Everyone Active to support their sporting champions. 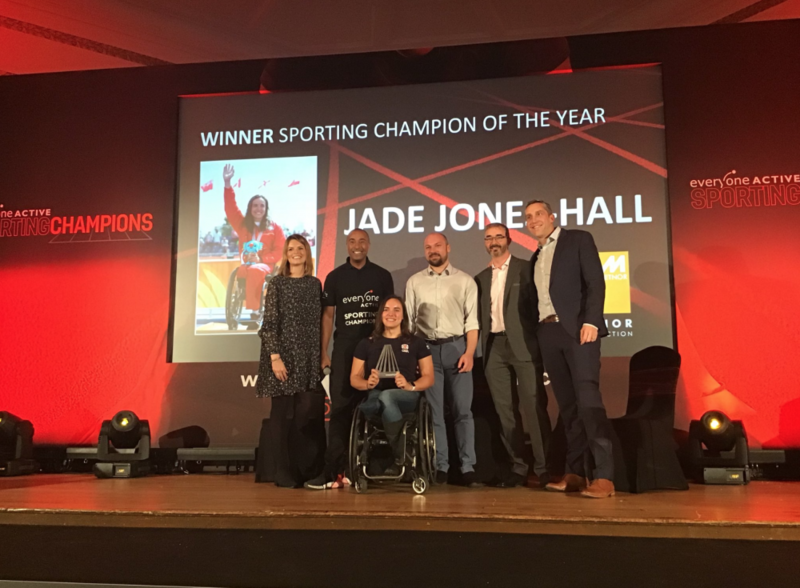 This week our Managing Director, Chris Cant and Marketing & Business Development Manager, Charlie Sander visited the third annual Everyone Active Sporting Champions Awards to present the award for the Sporting Champion of the Year, which was awarded to Paratriathlete Jade Jones-Hall. In this same vein, Metnor appreciates that a healthy lifestyle has so many benefits – we encourage our staff to be as active as possible, with the facilities at head office including an onsite gym and a qualified personal trainer who hosts a number of exercise classes throughout the week. To find out more about the leisure projects we’ve worked on, take a look at our case studies.